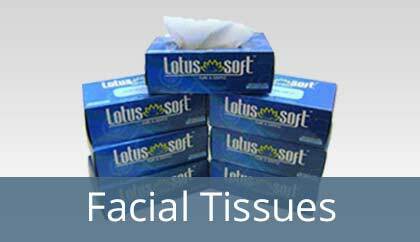 Facial Tissue Paper is a soft disposable paper handkerchief made for use on face. It is a type of tissue paper which acts as the best alternative to napkins and handkerchieves. For making these facial wipes and for maintaining the hygiene standard in them, the raw materials used is of the best quality available in the market. Medical Centers, Hospitals, Hotels, Restaurants, Beauty Parlours, Hair Cutting Salons, etc uses facial tissues on a large extent so as to take special care of the face of their clients. We are the manufacturers of the top quality facial tissue papers and as our products are on huge demand in these industries, we are known for supplying the same not only in domestic market but also exporting the same in the international market. We also specialize in manufacturing wet tissues. Facial tissues removes your makeup with ease and maintains hygiene level on your skin. Can be used as a routine for getting rid of sweat and feel fresh with aromatic fragrance. Convenient for handling during travelling. Hygienic during cold and rough weather for people suffering with cold and cough.